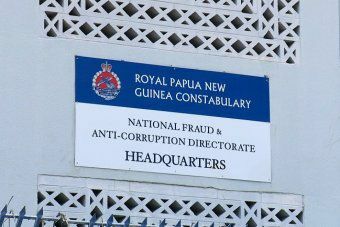 A former PNG Department of Works and Implementation secretary has been charged with one count of misappropriating over K9 million. Joel Luma, aged 61 of Avatip village, Ambunti, East Sepik Province, was arrested and charged by fraud detectives early this month in the nation’s capital. Luma, who is now self-employed, committed the offence whilst in office, reports the NFACD. “The audit report highlighted gross irregularities of non-compliance to the procurement procedures and fraudulent practices in splitting of claims to avoid CSTB (Central Supply Tenders Board) procurement procedures and requirement,” says NFACD director, Matthew Damaru, in a statement. “A total of 19 minor Works pro-forma contracts were signed in 2011 between the contractor and Mr Luma without the endorsement by the Provincial Works Managers. “The Certificate of Inexpediencies (COI) were also signed by Mr Luma. The fraud directorate reported that between July and December 2009, a total of 19 claims were submitted by the contractor for the 19 provinces. “Luma approved all the claims and directed Accounts, Finance and Budget to pay the contractor,” states the fraud director. “A total of 19 cheques to the value of K3,944,545 were paid to the contractor between 2011 and 2013. “Between 2011 and 2013, another lot of 21 claims were submitted by the contractor to Mr Luma, which he approved all of them as Section 32 officer and 21 cheques to the value of K5,650,315.79 were paid. “A total of 40 claims were paid to Road Stoa Ltd and approved by Mr Joel Luma as Section 32 officer. “The total value of claims paid equated to K9,594,860.79 million, which would have gone through the CSTB. “He was interviewed at NFACD office at Konedobu and later taken to Boroko Police Station and placed in the cells. “More arrests will be made soon on the co-accused.